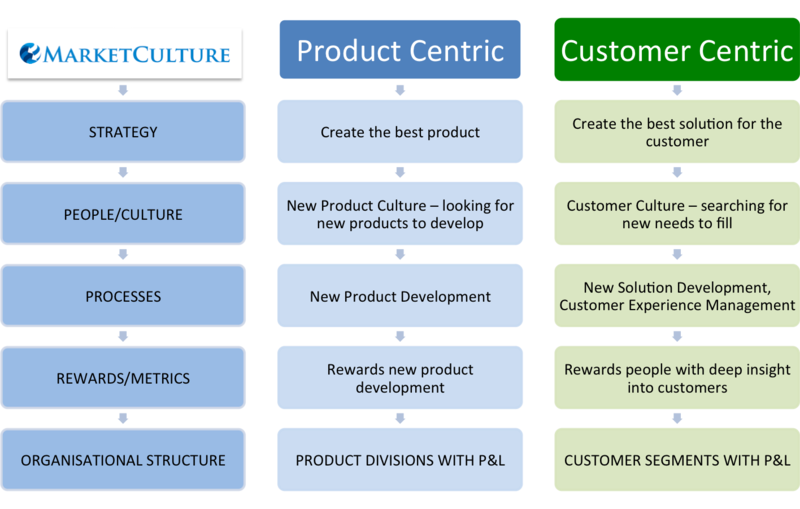 Product Centric Versus Customer Centric – Does it matter? A product-centric organization is one that is focused on the products it brings to market rather than the customers that buy those products. It looks to develop new products by leveraging technology or specialized skills that exist in the company. It starts by looking internally at its capabilities rather than externally at what needs are not being met. In large complex organizations, a product focus provides management with a direct line of sight into which products are selling well, at what profit and clear product owner accountability. While it does simplify the management of a firm it does come at a cost. It tends to create siloed organizations that compete for customers and often lacks a coordinated approach. In fact, many of the poor customer experiences happen as a result of this internal/product focus. The other downside is a myopic vision of the market that blindsides companies to key changes. Product-focused companies define themselves by their products. For example, Kodak originally defined its self as being in the photo processing business. This definition impacts the culture of the company in a way that hamstrings thinking and creates impediments to action. When the shift to digital came Kodak resisted this because of the impact on its “products – photo processing”. The classic example of this is the “Last buggy whip company” the company that made the best buggy whips in America! It just failed to see the car was coming to obliterate its market. The future for companies is to balance this product focus with a customer focus so that customers feed directly into decision making and are not an afterthought. What trends are affecting the way your customers solve their problems? 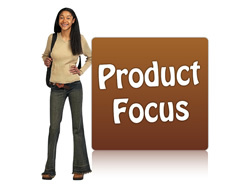 Does your organization suffer from excessive product focus? This entry was posted in Cross-functional Collaboration, Customer Centric Culture, customer focus, Customer-Centricity, Peripheral Vision, Uncategorized and tagged customer culture, market responsiveness index, product centric versus customer centric; internal focus versus external focus; product focus versus customer focus. Bookmark the permalink. Pingback: Digital transformation : What are the news challenges for companies?